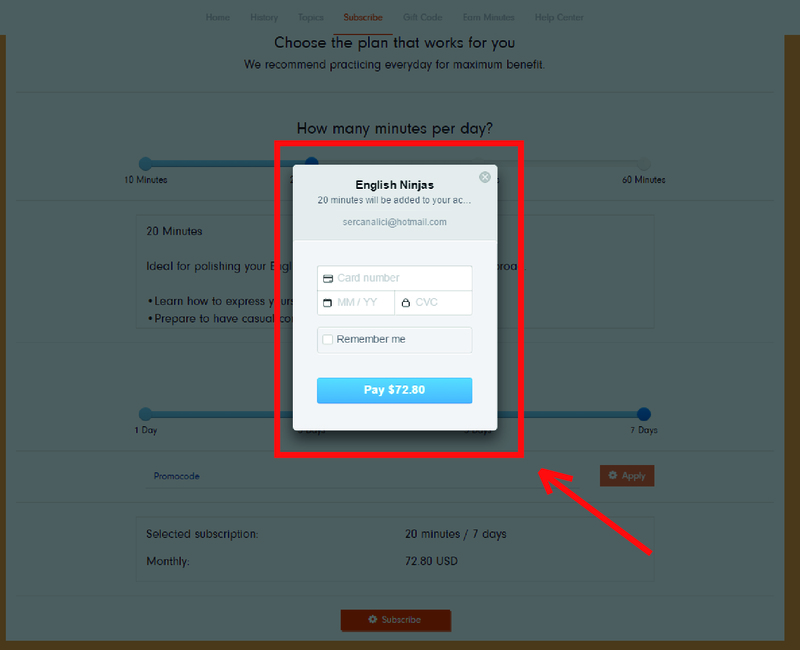 Purchasing a subscription package on English Ninjas is very easy. 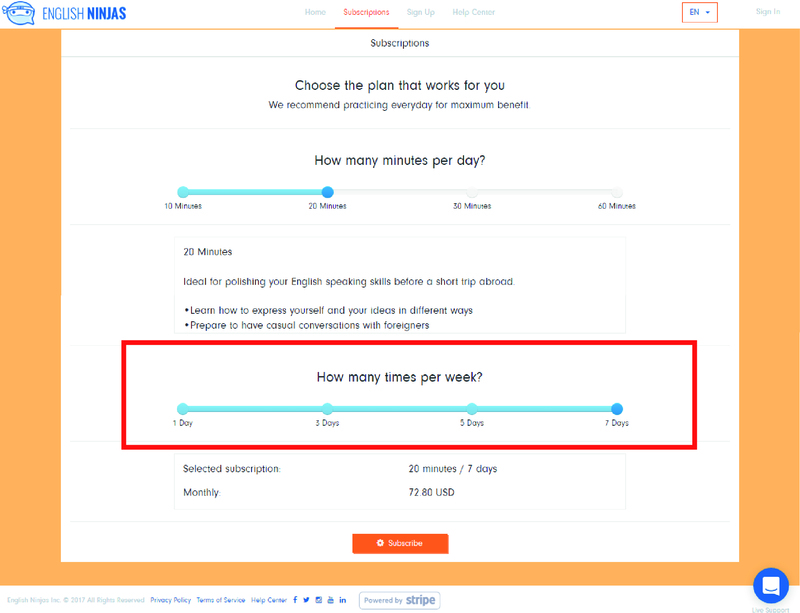 In 3 simple steps, you can easily purchase the subscription package of your choice. 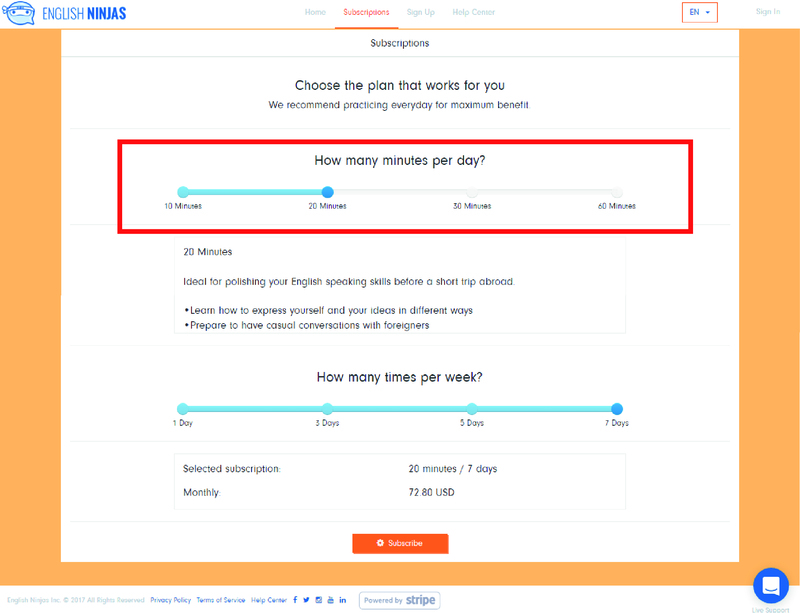 After selecting the number of minutes you want to practice per day, you need to select the number of days you want to practice per week. 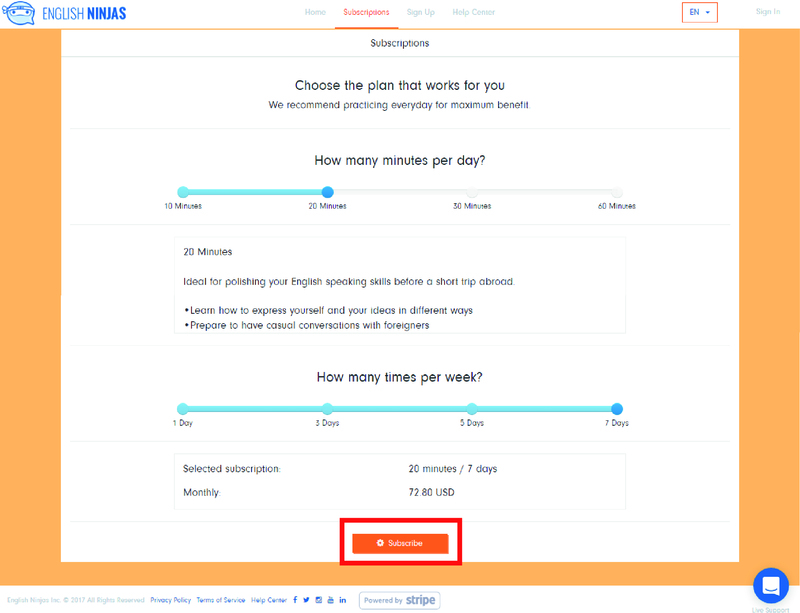 For example, by selecting 10 minutes / 5 days you can practice for 10 minutes on any 5 days of the week as you wish regardless of whether it is a weekday or the weekend. After your submission, you can see your reduced price. Once you finish selecting your package you can finalise the subscription process by clicking on the "Subscribe" button. Payments process of English Ninjas is powered by Stripe. You can purchase a subscription package quickly and easily by adding your credit card number.